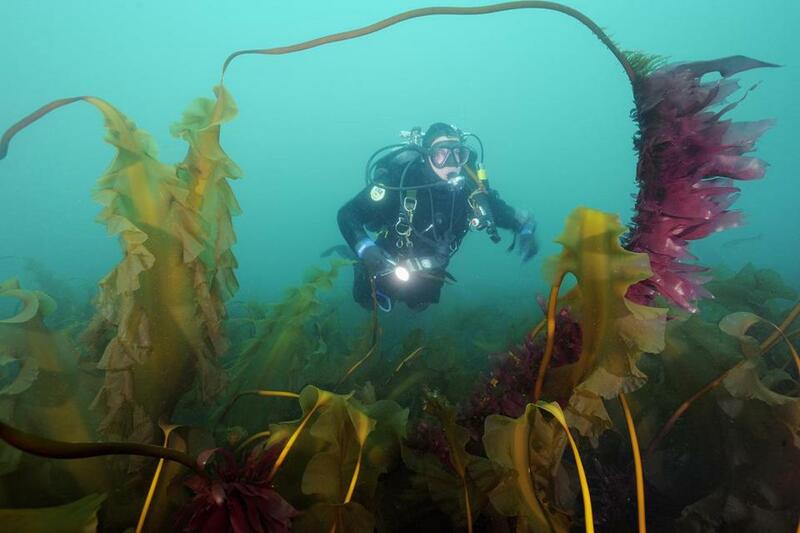 Jeff Wildermuth swam through Kelp Forest at Cashes Ledge, 70 miles off the coast of Maine. 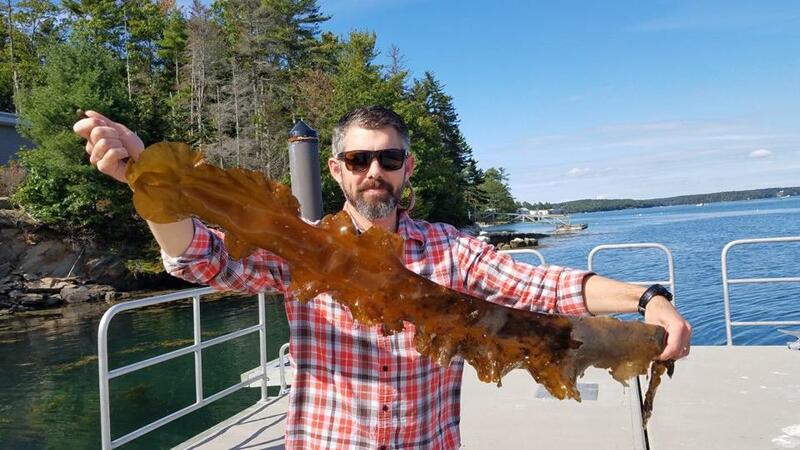 Doug Rasher, a research scientist at the Bigelow Laboratory of Ocean Sciences in East Boothbay, showed a stripe of kelp covered with a damaging parasite. 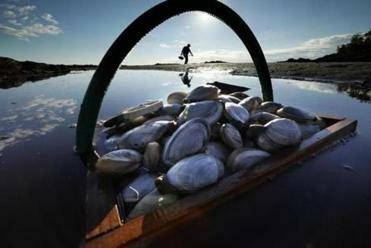 Valuable species of shellfish have become harder to find on the East Coast because of degraded habitat caused by a warming environment, according to scientists. 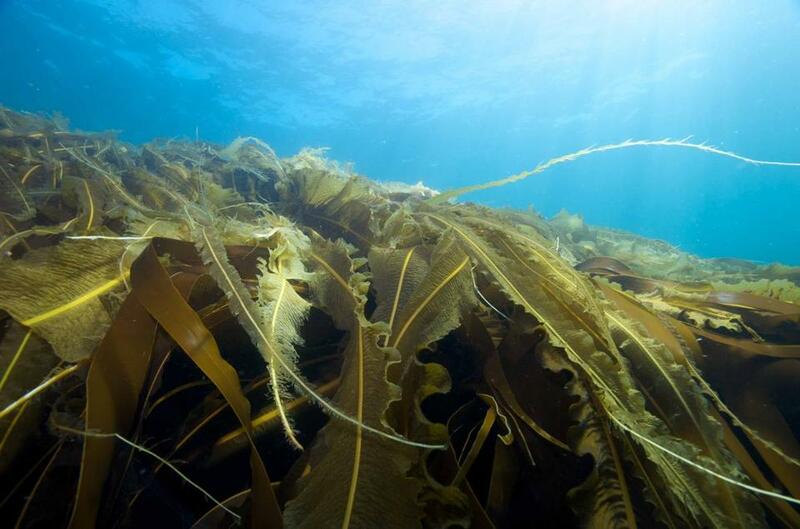 Healthy kelp in the Gulf of St. Lawrence in Canada. The warming, he said, has had a major impact on a range of species, including a tiny crustacean called calanus that is a major food source for lobster, herring, and importantly, right whales. In recent years, the critically endangered mammals have been seen moving farther north into Canadian waters in search of the creatures. Calanus require cooler temperatures and spend winters in deeper waters. 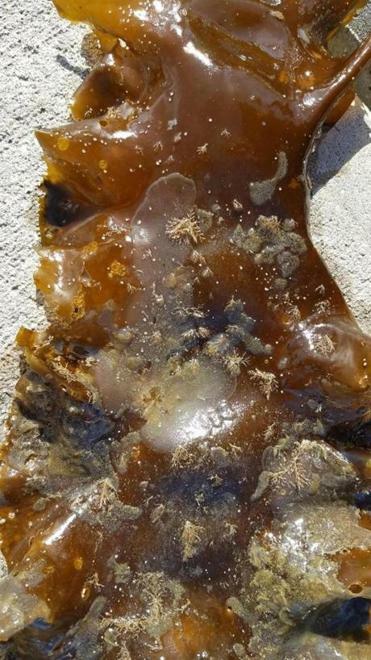 A stripe of kelp covered with a damaging parasite.